Kick it Santa style and print Cool Christmas Flyers to advertise your next holiday event in advance. 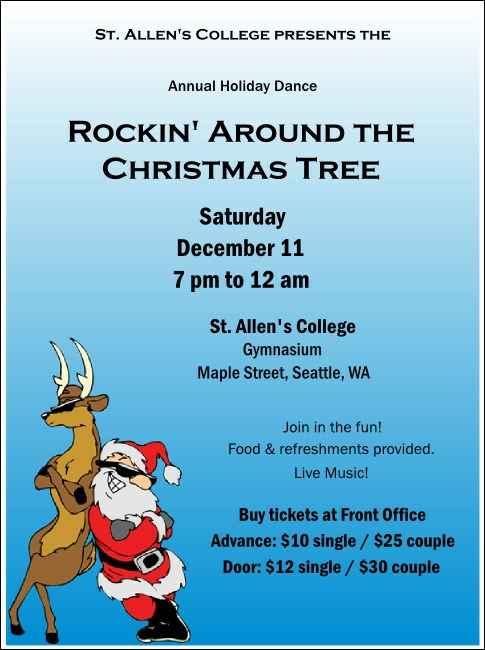 Rock out with Flyers that feature Santa and his favorite reindeer standing back to back wearing hip black sunglasses. With a light blue and white background and up to sixteen lines of text on this template, you can keep it chill while including all your event details. Don’t shade yourself from great promotions! Advertise with TicketPrinting.com.